White French doors open to a small garden alive with blooming daylilies, French lavender and rose-scented geraniums planted alongside aromatic herbs like chocolate mint, cinnamon basil and pineapple sage. With scissors in hand, Devon Francis, a Mission Point Resort bartender, snips bright orange and yellow nasturtium to garnish the evening’s craft cocktails. “It smells like a little bit of heaven,” says Liz Ware, vice president of public relations, as she stands nearby, taking in the summer moment. Tucked into a courtyard by the resort’s white-tablecloth Italian restaurant, Chianti, the cocktail garden is a mix of practical and pretty. 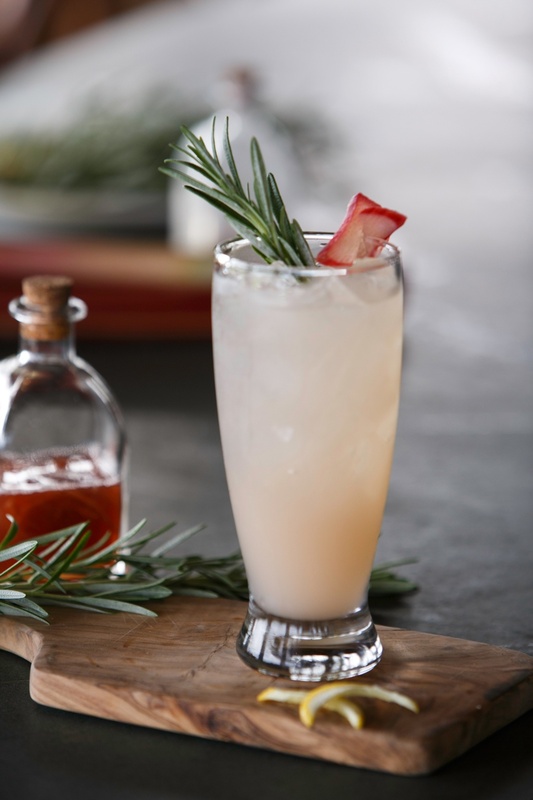 Seasonal herbs, cut fresh daily, are found in every cocktail on the resort’s menu, like the rosemary sprig sprouting from a blush pink concoction fittingly named “Taste of Michigan Summer.” The rosemary lends a sweet, piney flavor to the tart rhubarb and lemon purée. Since Liz’s parents, Dennert and Suzanne Ware, purchased Mission Point in December 2014, the resort has refreshed its menus to emphasize locally grown ingredients. “It means something when you say, ‘It’s from Michigan,’” Liz says. The cocktail garden was created with this in mind. 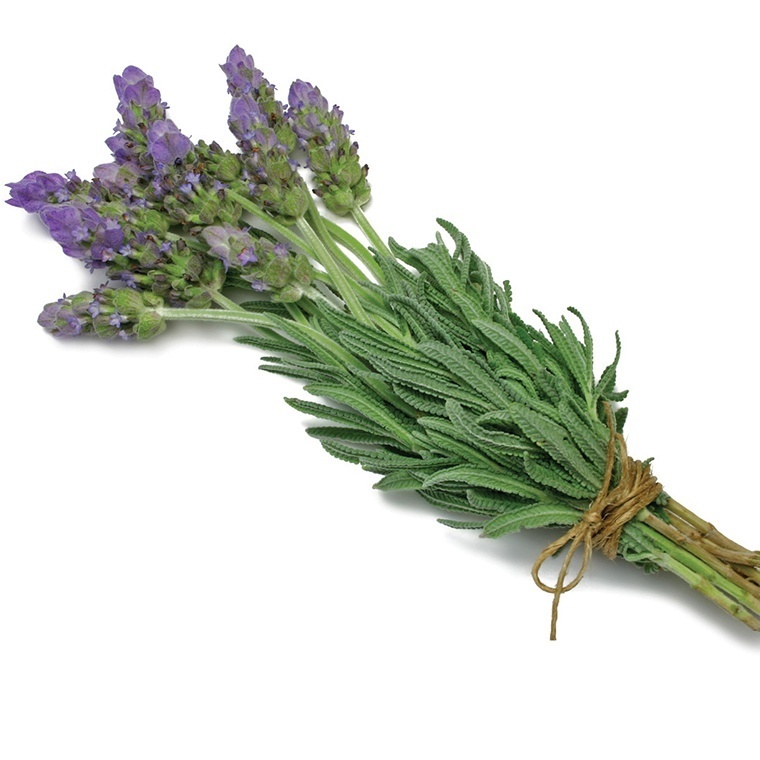 As the flowers and herbs are harvested, the cocktail list changes too, always staying fresh and seasonal. 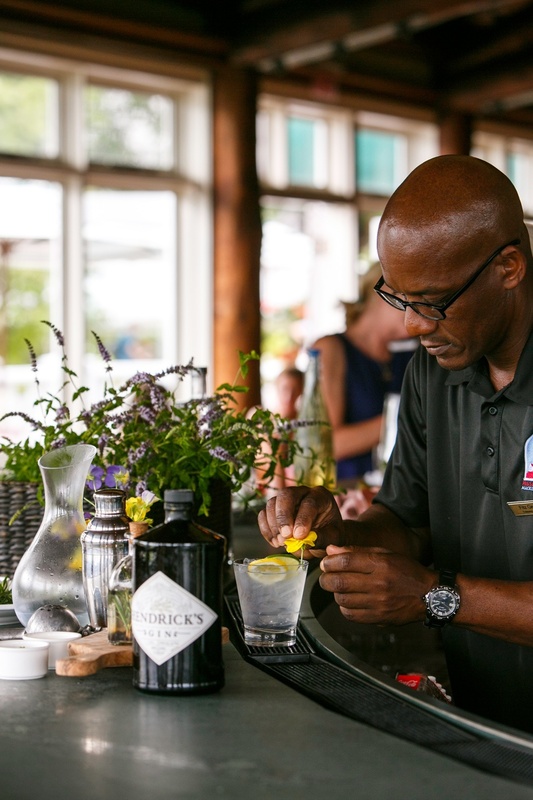 At Round Island Bar & Grill, one of three restaurants at the resort, bartender Fitz Gerald Haughton garnishes a champagne flute with a lemon twist. It’s the final touch on a Madame La Framboise cocktail. 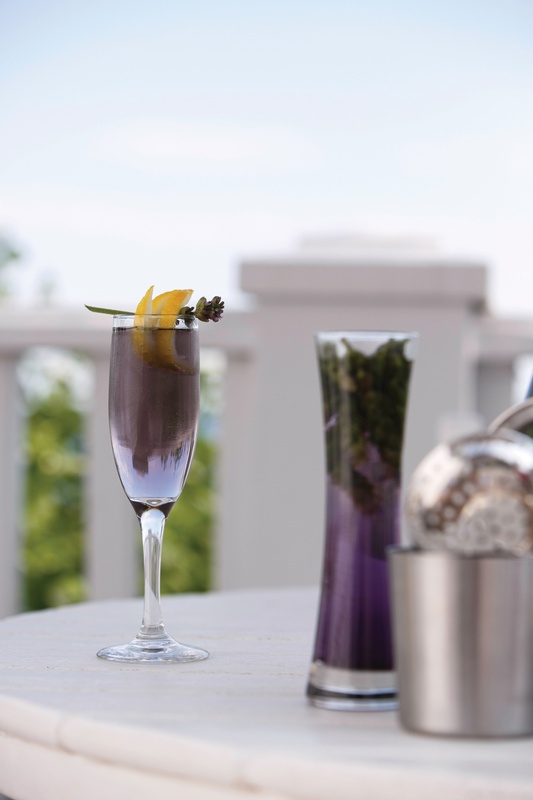 The lavender drink is named after a Native American woman who lived on Mackinac Island and was one of the Northwest Territory’s most successful fur traders in the early 1800s (read the incredible story). Syrup made from dried lavender is mixed with vanilla vodka and fresh-squeezed lemon juice then topped with the fizz of brut champagne. 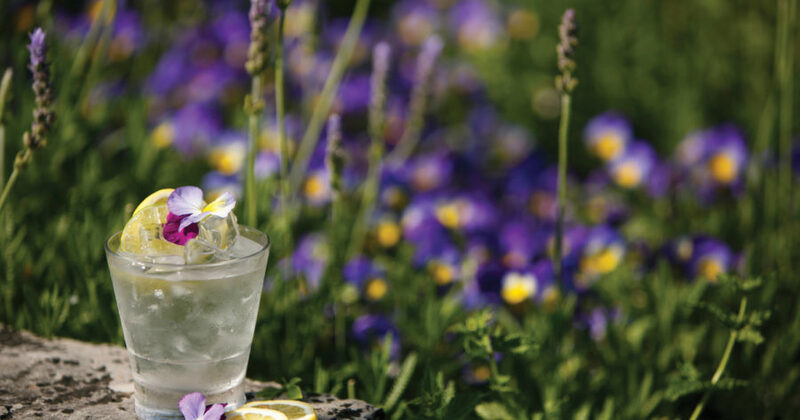 The syrup, steeped with blossoms from the cocktail garden, gives the drink its signature violet hue. 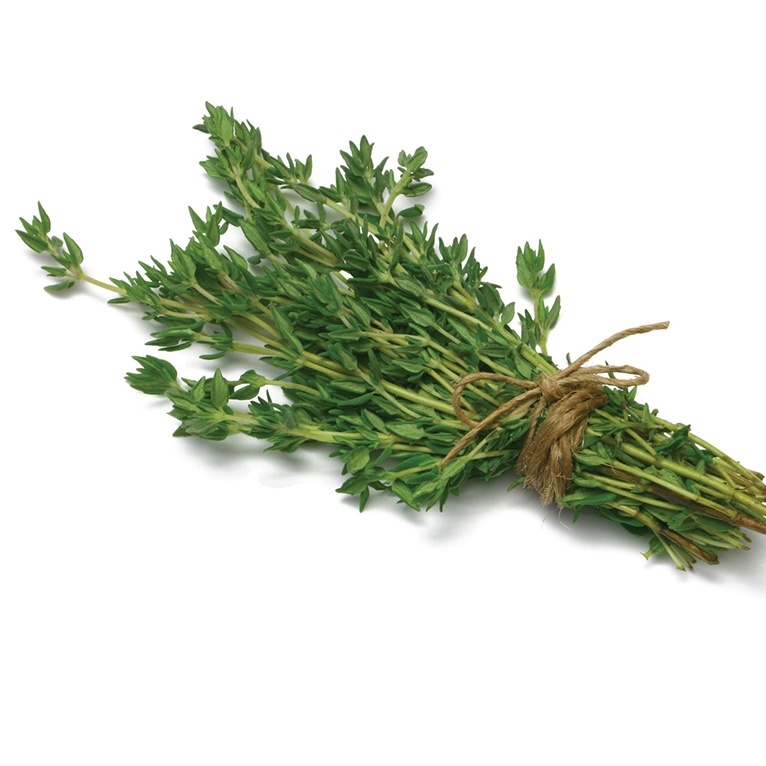 The resort’s bartenders also use the fresh herbs in house-made bitters and infusions. 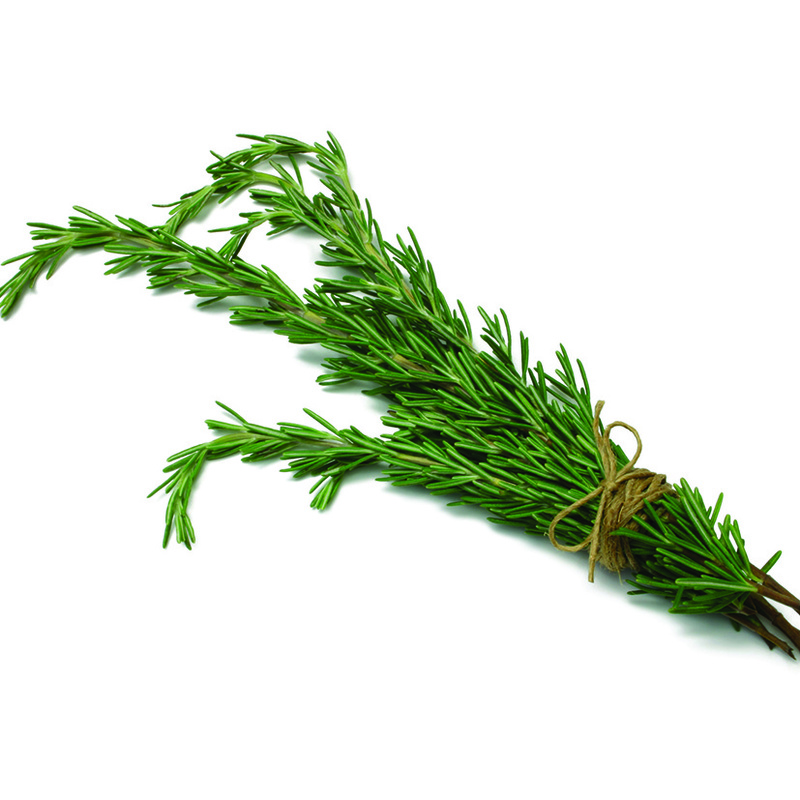 Rosemary and thyme were steeped with vodka, black peppercorns and juniper berries for two weeks to create the juniper bitters used in the gin and tonic being served at Bistro on the Green—an outdoor restaurant adjacent to the resort’s 18-hole putting course—where guests enjoy cocktails during a round on the greens. The best part? 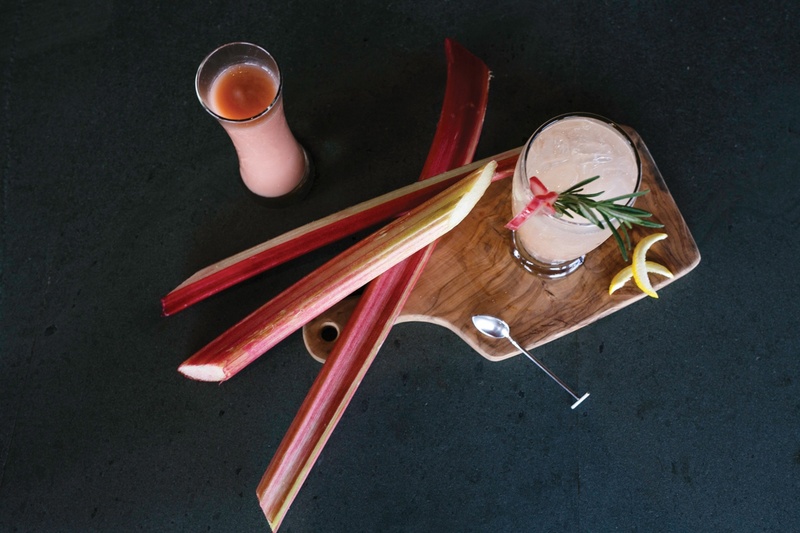 The art of garden mixology isn’t just for professional bartenders anymore. 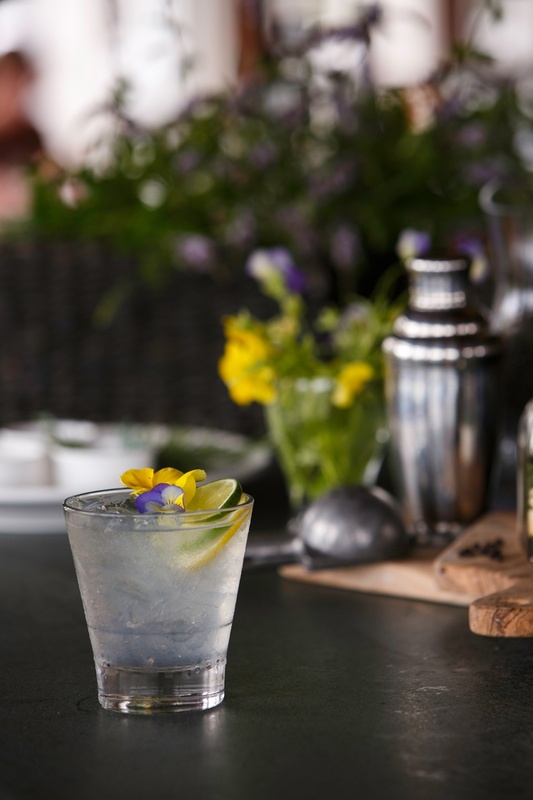 Through Mission Point’s DIY Cocktail Program, visitors are shown how to bring the flavors of fresh herbs and edible flowers into their own favorite drinks. Groups also enjoy tours of the 18-acre resort, with stops at the cocktail garden. “Today’s travelers are looking for experiences that are predicated on a celebration of place,” says Bradley McCallum, vice president and managing director. The cocktail garden is a fragrant and distilled essence of that celebration. Clinking glasses and a smooth piano melody overflow into the cocktail garden from dinner service at Mission Point’s Chianti restaurant. Outside, Grounds Superintendent John Van Etten walks through the rows of herbs and flowers with his border collie, Nick, checking plant growth and health. 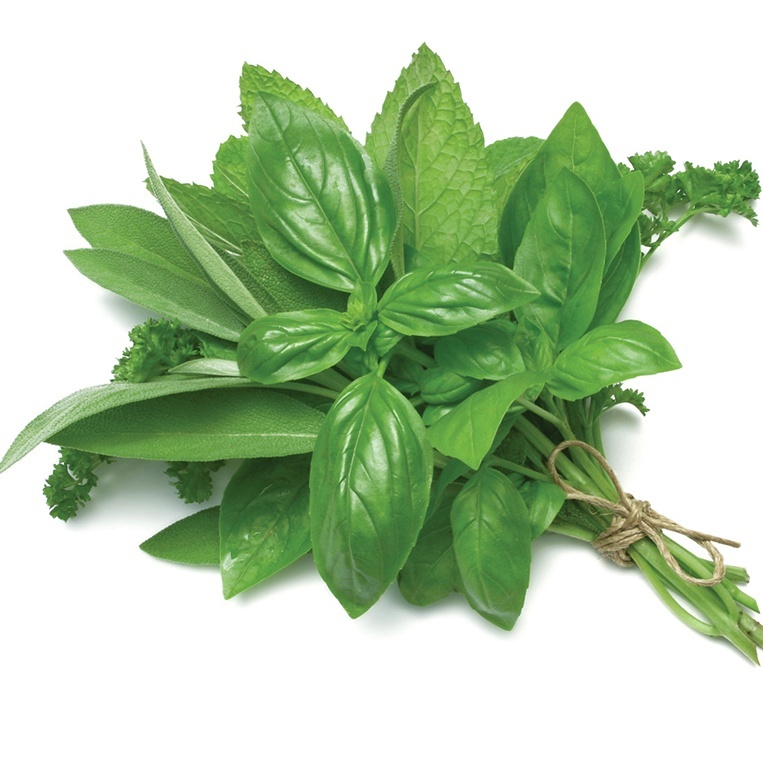 He smells basil and thinks pesto; clips cilantro for salsa and seafood; and uses dried dill on potatoes and whitefish dip. John works closely with the resort’s chef and bartenders to identify plants they stir into dishes and cocktails. “Can’t get any fresher than that,” he says, noting Devon gathering violas for garnishes nearby. Six years ago, John, his wife, Denise, and their two daughters, stayed at Mission Point while vacationing on Mackinac Island. It was one of those check-it-off-the-list experiences. “I didn’t think we’d be back,” he says. Three years later, John came across a job posting online for a grounds manager at the resort. He sent his résumé out at 9 p.m., and the phone rang 30 minutes later. “The rest is history,” he says. John’s 17 years of experience at New York’s Mohonk Mountain House, known for its lush grounds, caught the attention of Mission Point managers. 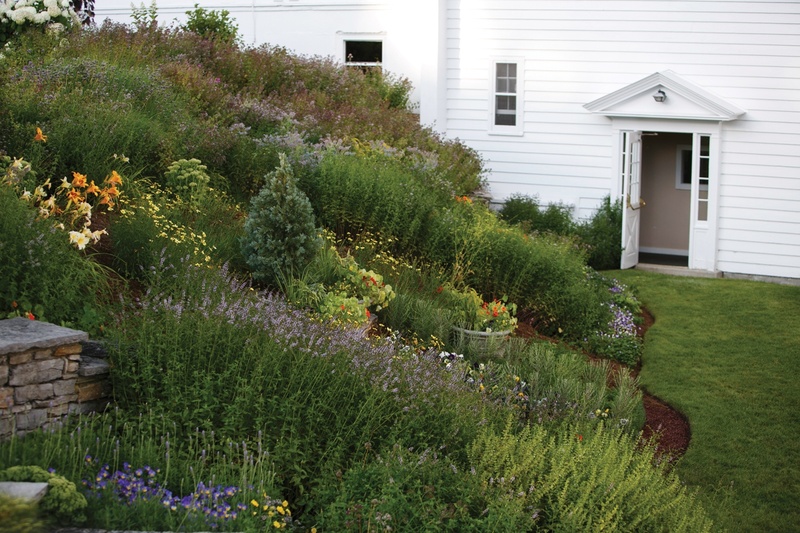 His dedication to eliminating chemicals on Mohonk’s golf course and organic 15-acre garden sealed the deal. “Sustainability isn’t a buzz word. I’ve been doing it my whole career,” he says. John starts every day walking in circles on the resort’s lawn. “I’m not lost,” he jokes. He’s looking for signs of disease and insect development. He doesn’t use chemical pesticides, aquacides or fertilizers but instead opts for compost and organic fertilizers. 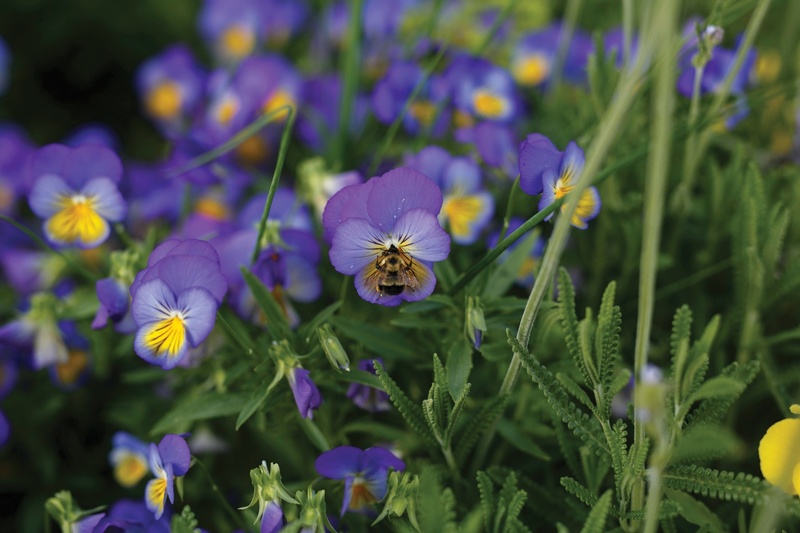 Herbicides degrade microbes in the soil floor and fauna, and having healthy soil helps prevent pests and illnesses. John’s been in the groundskeeping industry for nearly 40 years. 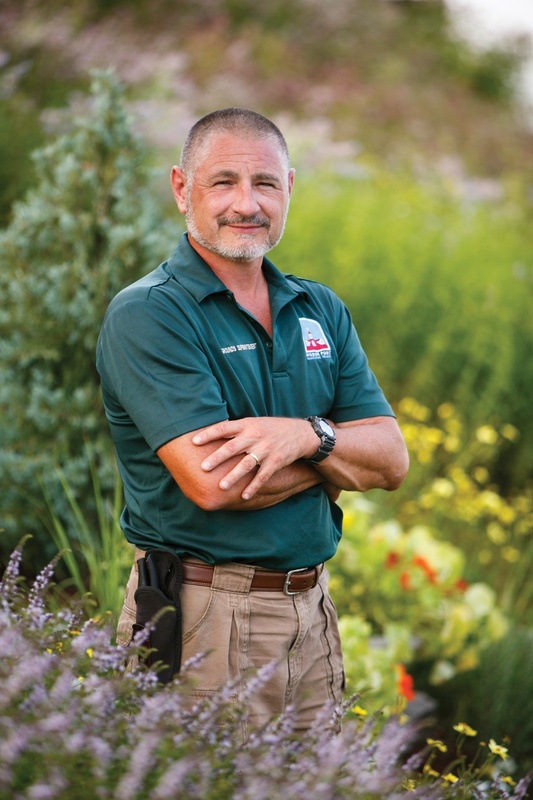 He got his first job as a horticulturist when he was 13, has served as the president of the Professional Grounds Management Society, written for Fine Gardening about organic gardening methods and appeared on the Travel Channel and Good Morning America. “I always knew whatever I was going to do, it was going to be outdoors,” John says. As guests trickle through the cocktail garden, a hidden gem more often stumbled upon than sought after, the blooms always draw the same easy smiles. The same smile John has when he’s walking through. A container garden lets you enjoy that just-picked taste year round. Bonus: Your kitchen will smell amazing. 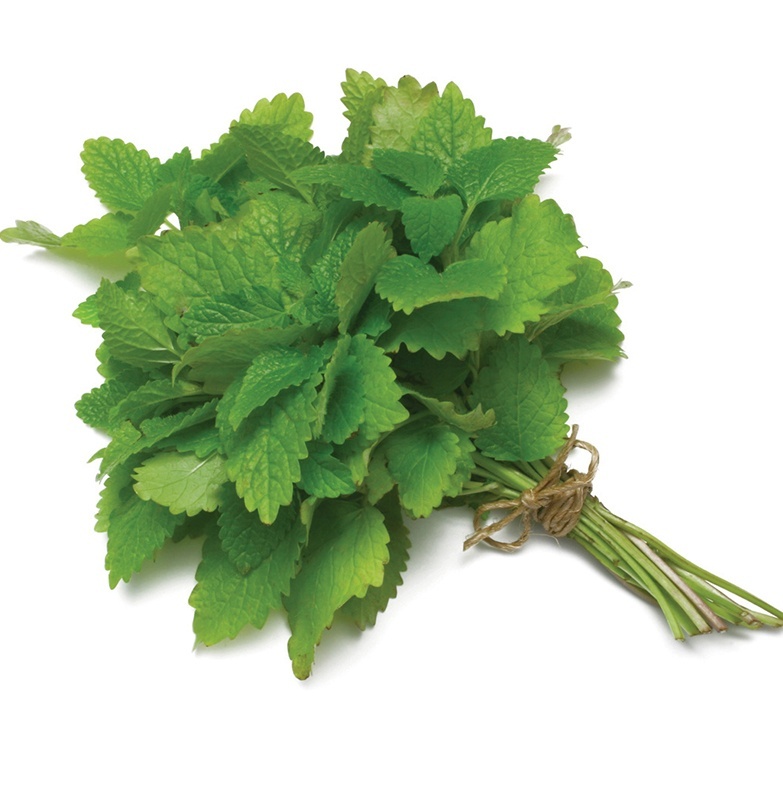 John recommends these herbs, which can live for several years in pots and are used in a variety of classic, easy-to-make cocktails.